Juan Batista Berenguer was born November 30th 1954 in Aguadulce, Cocle, Panama. The five foot eleven, right handed pitcher was signed by the New York Mets as an amateur free agent in 1975. 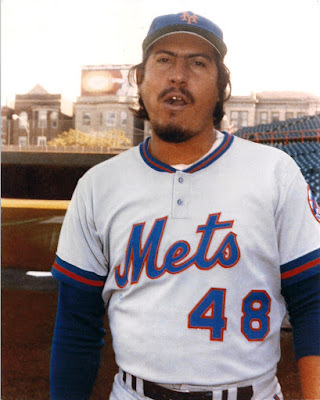 Berenguer had a high nineties fastball which earned him the nickname "el gasolino" & "senor smoke". He also was known as "pancho villa" with his menacing looks of long hair & moustache on the mound. He put up big strike out numbers in the Mets minors going from A ball Lynchburg to AA Jackson & then AAA Tidewater in three quick seasons. Unfortunately he was having major control issues & was walking almost as many batters as he struck out. By 1978 he was 10-7 with a 3.67 ERA & 130 Ks at Tidewater when he got the big league call up to a Mets team looking for something. He debuted on August 17th, getting his first start, but gave up five runs on four hits to the San Diego Padres earning a loss. He returned as a September call up taking another loss on September 4th, as the Pirates roughed him up for five more runs at Pittsburgh. He ended the year at 0-2 with an 8.31 ERA. He got another September call up appearing in five games going 1-1 with a solid 2.93 ERA. In his last start on September 29th he pitched 7.1 innings beating the St. Louis Cardinals 6-2 for his first career win. In 1980 another September call up resulted in a 0-1 record, with a 5.79 ERA in six games. 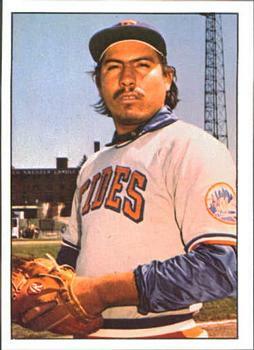 In his three seasons with the Mets he struck out 40 batters but walked 33 in 53 innings of work. The Mets did not like his control issues & traded him to the Kansas City Royals for Marvell Wynne. Trivia: He appears on two different Mets Rookie Prospects cards- 1979 & 1981. 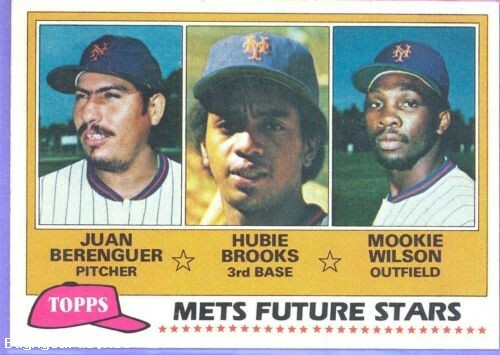 The 1981 card features Mets future hero; Mookie Wilson. In the strike shortened 1981 season, he led the AL in losses (13) between the Royals & Toronto Blue Jays. He would end up on the Detroit Tigers pitching four seasons there, winning a World Series with them in 1984 while going 11-10 with a 3.48 ERA. He spent one year with the San Francisco Giants before going to the Minnesota Twins (1987-1990) where he had much success. In the Twins 1987 Championship year he was 8-1 with four saves and a 3.94 ERA. Post Season: He appeared in four of the five ALCS games against the Detroit Tigers, earning a save in Game #1. 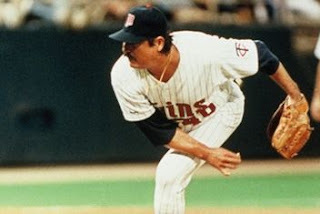 He pitched in three games of the 1987 World Series, taking a loss in Game #3 after blowing a 7th inning 1-0 lead, as Vince Coleman & Ozzie Smith both drove in runs. Berenguer then moved on to the Atlanta Braves (1991-1992) going 3-4 in 77 games as a reliever, as the team got to the World Series in 1991. He missed out on playing as he had a freak accident breaking his arm, at home while wrestling with his kids. He ended his career getting traded to the Kansas City Royals in July of 1992. In a 15 year career he was 67-62 with 32 saves in 490 games, 95 starts. He struck out 975 batters walking 604 in 1205 innings of work. Post Playing Career: After his playing days he worked for a Minnesota television station. 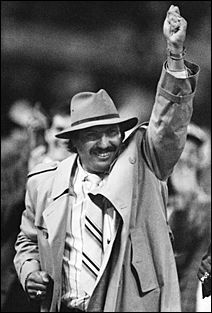 He has been at ceremonies honoring the Twins & Tigers Championship teams. His son Chris played hockey in the US Hockey League.